Cornerstone is pleased to announce the launch of the AOR Canada website. 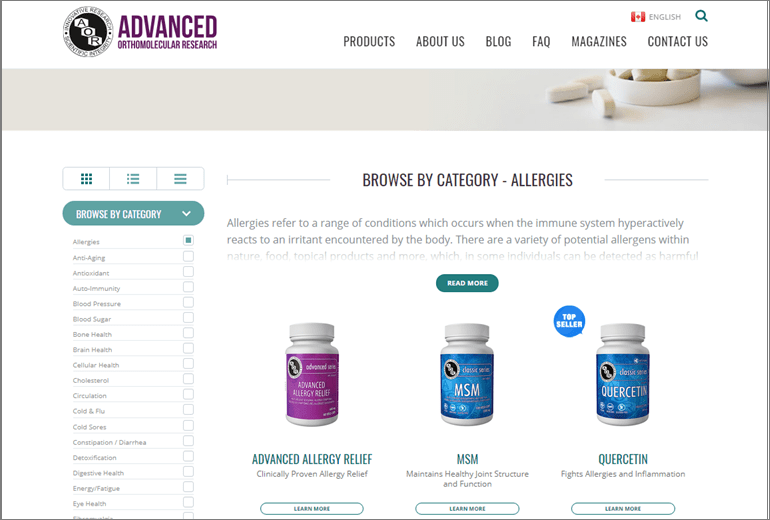 This e-commerce site was designed and built by Cornerstone, featuring thousands of products, browsable by category, dietary needs, and top sellers using advanced search filters. The fully responsive (mobile friendly) site was built on Craft CMS and Craft Commerce, and features back-end integrations with AOR’s product information management system (PIMCORE) and ERP system (Microsoft Dynamics NAV).